Deepawali, the festival of lights, rekindles the reminiscences of Delhi during the reign of the last emperor of Hindustan, Bahadur Shah Zafar, who sat on the throne in the twilight years of the Mughal dynasty. The city of Delhi has an innate quality of integrating all those who come to live within its boundaries. The culture, faith, and architecture of all who came to the city from places afar got amalgamated and gave rise to a syncretic culture. 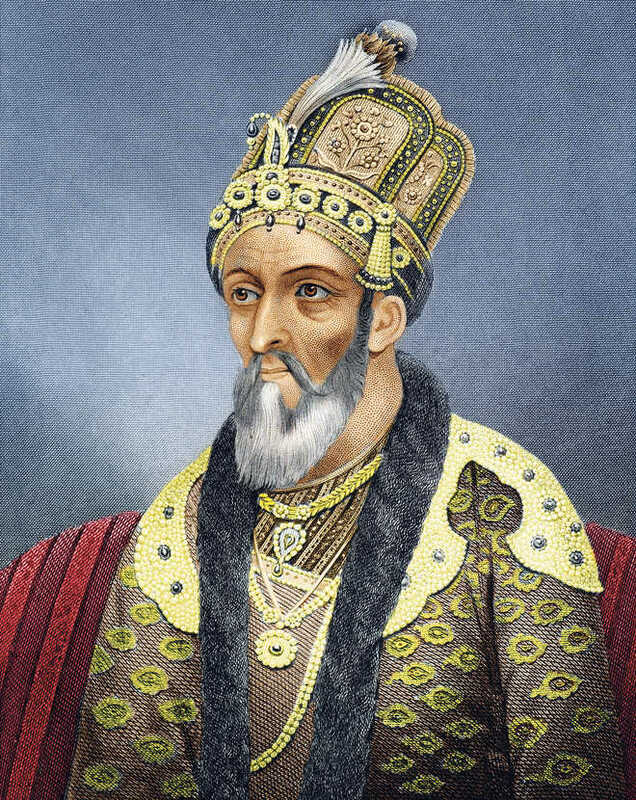 Bahadur Shah Zafar, the last Mughal monarch, was an epitome of this syncretic culture or the Ganga-Jamuni tehzeeb, as it had come to be known by the 19th century when he ruled. Deepawali has a special relationship with Delhi, which is located on the bank of the Yamuna. The river, called Yami in Hindu mythology, happens to be the twin sister of Yama, the god of death. On Dhanteras before Deepawali, Hindus keep a lamp burning throughout the night to pay obeisance to Yama, the Lord of Death. The last emperor, too, paid his obeisance to Yama on Deepawali as long as he ruled from the Red Fort. The Rang Mahal inside the Red Fort was the epicenter of the royal celebrations of Deepawali, the festival of lights or Jashn-e-Chiraghan, as it was called. This part of the fort was specially lit and decorated with earthen lamps, chandeliers, metallic lamp stands and pedestal chandeliers. Upper-class gentry and affluent businessmen of the Chandni Chowk would not only illuminate their havelis and stately mansions with earthen lamps, but also place diyas on the banks of the canal that ran through the middle of the Chandni Chowk. Huge swathes of luminescence trembled on the water as countless diyas floated in the stream. Sikhs at Gurdwara Sisganj provided oil, whereas Muslims supplied cotton for the lamps to illuminate the entire stretch of Chandni Chowk till Fatehpuri. By the time Zafar sat on the throne, the writ of the Mughal emperor ran only inside the Red Fort, as the British Resident in Delhi controlled everything, including succession. However, like a true King of Delhi and its motley population, Zafar celebrated both Hindu and Muslim festivals, including Deepawali, with all the pomp and gaiety due to a Badshah inside his Qila-e-Mubarak, or the Red Fort as we call it. Dilli Ka Aakhiri Deedar, written by Syed Wazir Hasan Dehlvi, which has been translated into English by Rana Safvi, mentions that the fort was illuminated with earthen lamps during Deepawali. The royal children made mud houses, which were filled with puffed rice and sweetmeats, and lamps were lit in front of those tiny houses. Ramlila during Dasehra was already an established tradition in Delhi by the time Zafar ascended the throne. The Purabiya soldiers, who were earlier employed in the Mughal army, continued to stage Ramlila even after they joined the company Bahadur's army. However, the contribution by the Fort continued, and Zafar was always excited about the aatishbaazi or firework, the material for which was procured from the Paiwalan bazar near Jama Masjid. The inmates of the Red Fort watched the firework during Deepawali and Ramlila from the turrets. An emperor only in name, Zafar lived off a pension from the British who had virtually taken over the governance of the whole of Hindustan. The last emperor was fully aware of his status and hence utilised his time composing poems in Urdu and hosting mushairas or poetry recital sessions in the Red Fort or outside. As was customary, the emperor's compositions were read out before others. The poetry sessions oftentimes included recitals by virtuosos of Urdu poetry, such as Zauq and Mirza Ghalib, and continued till the wee hours of the morning. Zafar was himself skilled in poetry and patronised countless poets such as Zauq, Ghalib, and Momin. Both Zauq and Ghalib served as the poet laureate in his court. Another festival that Zafar and his court participated with fervor was the annual event Phoolwalon Ki Sair held after monsoon at Bakhtiyar Kaki's tomb at Mehrauli. All his courtiers and family members would travel to Mehrauli from the Red Fort. Badshah would stay with his entourage at the Zafar Mahal, which was the last building constructed by a Mughal in Delhi. Muslims offered floral coverings and fans at Bakhtiyar Kaki's dargah, whereas Hindus offered floral canopies and fans at Yogmaya temple during this festival. Phoolwalon Ki Sair, a festival unique to Delhi, is still celebrated and draws huge participation from all communities.